This Halloween really seems to be the season of the witch more than, say, the vampire, ghost or zombie. 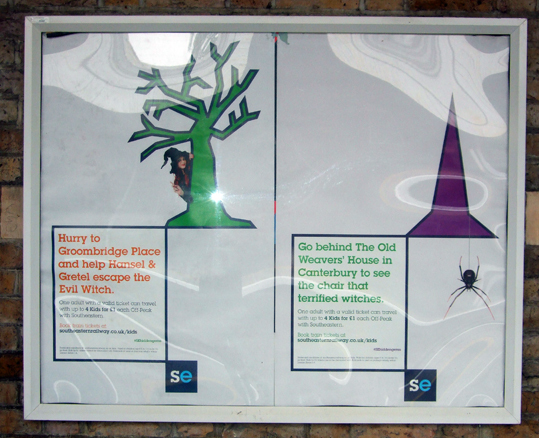 Yes, witch-related attractions are springing up all over the place, as these two posters at my local railway station show. The links at the bottom show a few pictures blog readers have sent me in the past.